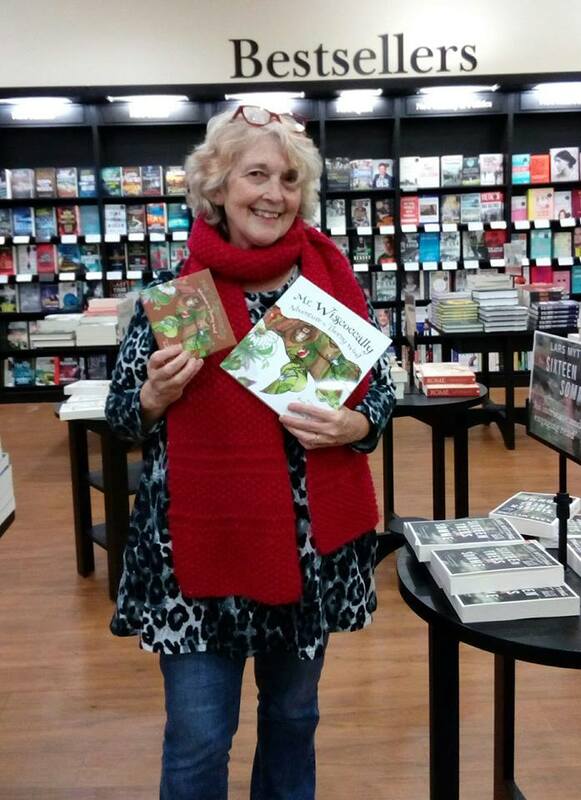 Local author Ruth Campbell and local illustrator Vivienne Byrne have teamed up to collaborate on a magical new children’s book that is sure to be a popular gift this Christmas. The books author Ruth got her inspiration for the book from telling stories to her grandchildren over the years. As well as writing the book, Ruth also recorded an accompanying audiobook where she reads the stories from the book and it’s easy to see why her young grandchildren became so interested in her stories. The book is also illustrated by Drogheda artist Vivienne, who brings the writing to life with her stunning illustrations that were inspired by the landscape of her local area, such as the Boyne Valley and Beaulieu. The book was printed in Drogheda by Beulah Print in Fair Street, while the audiobook was recorded in Abbey Lane Studios. 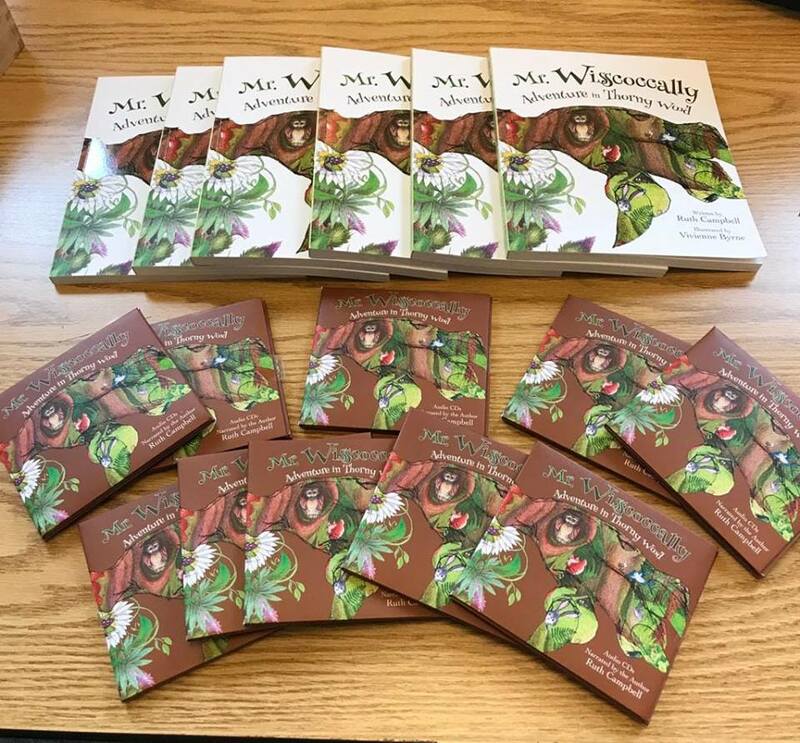 Mr. Wisscoccally follows the story of JC Summers, a seven year old boy who has a powerful imagination, who is spending his summer with his granny near the forest of Thorny Wood. The forest is home to the little boy’s imaginary friend, Mr Wisscoccally as well as many other pleasant and unpleasant creatures. Together, JC and Mr. Wisscoccally go on many adventures, exposing the bullies to help the other friendly creatures that live in Thorny Wood. Ruth discussed how it was an interaction with her grandchildren that gave her the idea to write about Mr. Wisscoccally. “The day that Mr. Wisscoccally was born is as clear in my head now as if it were yesterday. It was in about 2007 or 2008 and I was minding two of my grandsons. John was 3-ish at the time and AJ not yet a year old. The little guy had fallen asleep on the sofa when John brought me a piece of paper and a pencil. “The paper had already been used – there was a childish drawing on it – I can’t remember what. “Will you draw a monster for me?” he asked and he climbed up on the chair beside mine, confident I wouldn’t refuse. Grannies don’t, ever – do they? I’m not the best sketcher in the world but I was sure I could draw a monster adequate to please a 3 year old!" The book can be found for sale in Roe River Books in Dundalk as well as Waterstones Drogheda and The Little Baby Shop in Drogheda Town Centre.